Technique: all parts shiny. The cone is hammered and features an excellent contrast. 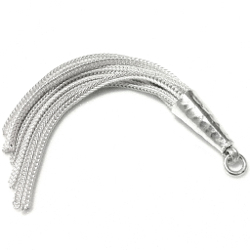 Usage: tassel for general jewelry, usually combined with gemstone or silver beads.